There are many ways to support businesses in your area. For instance, if you have a local hardware store, you could look there first when you need anything for your house, instead of heading down to the big-box home improvement store. Most towns have at least a couple of local restaurants or bars, so choosing these places when you eat out is another way to support your local economy. You can also buy your produce from a local farmers’ market or shop for clothes at a local boutique. Of course, all this depends on exactly which local businesses are available in your town. Since each town’s local economy is unique, the first step in figuring out how to support local businesses is to learn what businesses you have in your town, where they are, and when they’re open. To learn more about local businesses in your area, set aside a day to explore your town and see what it has to offer. Since part of the benefit of shopping local comes from being able to run errands on foot, leave your car at home and focus on the area within walking distance, if possible. Once you’ve identified local businesses in your area, the next step is to make shopping at them part of your usual routine. This can be a challenge if you’re on a tight budget, since local businesses often can’t match the low prices of big-box stores. Budget for It. Set aside a small sum in your personal budget each month specifically for local shopping. Then when you want to buy something at a local store but you’re hesitating over the price, you can simply take the extra dollars out of your local shopping budget. For instance, if a local, independent bookstore is charging $20 for a book that’s only $14 on Amazon.com, you can count the extra $6 as part of your local shopping budget for the month. Go Local for Services. Goods are often cheaper at big-box stores that sell cheap, mass-produced wares. However, services are often just as cheap (or even cheaper) when you buy them locally. For example, my local auto mechanic typically charges lower prices (and does better work) than the dealership. Likewise, taking a pair of worn-out shoes to my local shoe-repair shop for resoling is cheaper than buying a new pair. Shop Local for the Holidays. Shopping local is a great choice for holiday gifts, because a present feels more special when it comes from your own hometown. 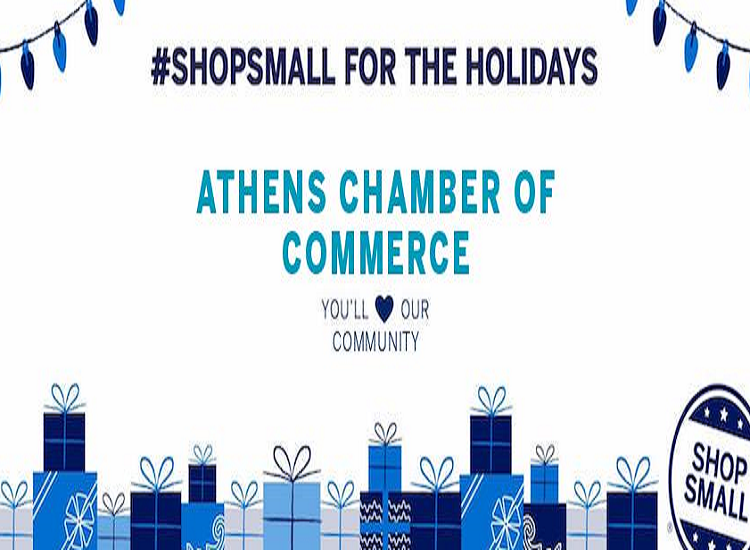 Each year, American Express sponsors an event called “Small Business Saturday” on the Saturday after Thanksgiving to encourage people to start their holiday shopping at local businesses, and many independent businesses offer special sales on this day. Other local businesses have special deals or events for Plaid Friday, the day after Thanksgiving, as an alternative to the Black Friday sales at major retailers. Not all local businesses are useful to everyone. For instance, a children’s clothing store isn’t of much interest if you don’t have kids. However, everybody has to eat, so shopping locally for food is one of the best ways to support your local economy. A locally owned grocery store is a good place to start, but a farmers’ market is even better. Shopping there gives you a chance to meet not just the people who sell your food, but the people who grow it. The U.S. Department of Agriculture reports that the number of farmers’ markets in the country has more than quadrupled since 1994, so your chances of finding a market in your area are better than ever. Quality. Farmers’ market produce is usually fresher than the goods sold at supermarkets. This is because the food has been grown locally, and hasn’t spent days or weeks traveling across the country. The fresher fruits and vegetables are, the better they taste and the more nutrients they retain. Sustainability. Locally grown food doesn’t have to be shipped long distances, which reduces its carbon footprint – the amount of greenhouse gas produced in growing, harvesting, and transporting it. Also, most sellers at farmers’ markets are small-scale growers who can more easily adopt green growing practices. A 2015 survey by American Farmland Trust and the Farmers Market Coalition shows that while only 18% of farms that sell their goods at farmers’ markets are actually certified organic, 78% of them grow food in a way that meets organic standards. Also, 48% of them use integrated pest management – a method of controlling pests with minimal damage to the environment – and 81% use soil health practices, such as growing cover crops and producing their own compost. Information. Buying directly from the grower is the surest way to know where your food comes from and how it was produced. At a farmers’ market, the person behind the counter can answer all kinds of questions that a clerk at a supermarket can’t. For instance, they can explain which varieties of apples are better for cooking and which are better for eating, or tell you which breed of chicken produced the eggs you’re buying and how the hens were raised. Atmosphere. Farmers’ markets are friendlier, more personal settings than big supermarkets. It’s much easier to strike up a conversation with a fellow shopper searching through a bin of melons at the farmers’ market than with a stranger pushing a cart past you at the grocery store. The Farmers Market Coalition reports that in its 2015 study, 7 out of 10 shoppers say they usually meet friends or acquaintances at the farmers’ market, turning a routine shopping trip into a social occasion. Another way to support local farmers is through community-supported agriculture (CSA). Through a CSA, a farm sells shares of its crops for the year directly to consumers. If an entire CSA share is too much food for your family, you can split one with a neighbor and strengthen your community ties still more. A final way to shop locally for your groceries is through a food co-op. A co-op is a grocery store that’s owned jointly by the people who shop there, so joining one gives you a say in what the store sells and how it’s run. Joining a co-op and attending its meetings is a way to meet and interact with your neighbors. And since most co-ops specialize in food that’s locally produced, including organic foods, it’s a way to support local growers. Lower Cost. Many locally owned banks and credit unions offer the same services as the big national banks, such as credit cards and online bill payment. However, their rates and fees are typically quite a bit better. The National Credit Union Administration, the federal agency that regulates federal credit unions, reports that compared to banks, credit unions typically offer higher interest rates on deposits, lower interest rates on loans, and lower fees. Furthermore, according to Bankrate, community banks have lower fees than “mega-banks,” and their rates on car loans are better. Better Service. Community banks and credit unions offer more personal service because they serve a much smaller area. At a community bank or credit union, you can expect the teller to recognize you, remember your name, and take time to answer your questions. Community banks and credit unions don’t always offer the 24-hour phone service you can get from the big banks, but for anyone who has ever spent time trying to navigate the menu on one of these phone lines and connect to a human being, that isn’t much of a drawback. Supporting the Local Economy. Community banks and credit unions make most of their money from loans to local people and businesses. The Institute for Local Self-Reliance, a community development organization, reports that more than 60% of all loans to small businesses come from small to mid-sized banks and credit unions. Because small local banks make most of their loans within the community, they have an interest in helping that community prosper. When you invest money in your local economy, you’re not just helping local business owners – you’re also helping yourself. You’re making your town a better place to live in, with a rich character, a thriving economy, and a tightly knit community. And the more local businesses prosper, the more new ones will open – making it even easier to continue shopping locally in the future.